There seems to be a trend in modern gaming: both developers and players, in general, are fixated on more of everything: more gameplay, more features, more choices, etc. This is understandable, since the industry is highly competitive and it’s become incredibly difficult just to be noticed. However, despite popular opinion, there isn’t a concise correlation between quantity and quality, and Linelight is a perfect example of this. Linelight shows that simplicity is a completely underrated and unappreciated characteristic in gaming today. Linelight is a puzzle game developed and published by My Dog Zorro. 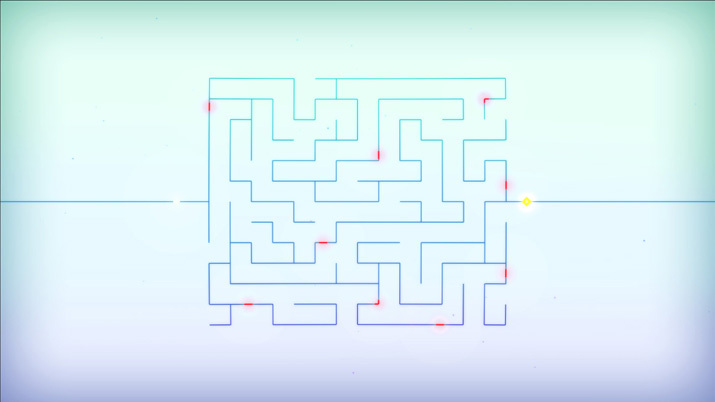 It's a simple game: you control a line of light, and you must move it along a linear path while completing puzzles. Although these core mechanics are easy at first, over time the puzzles’ complexity increases, and more components are added, like switches, enemies, and extended and extra lines to control. Each of these elements is introduced at a reasonably slow pace, which gives the player time to understand them and use them in a puzzle before they’re fully implemented into gameplay and are used in more complicated ways. Linelight does not hold your hand though. Besides introducing these new mechanics, there is no help or hints given to the player, and the difficulty is set, giving everyone who plays, despite their previous gaming experience, the same fair challenge. And the puzzles are fairly challenging at times, which make them extremely satisfying to complete, and having checkpoints after (and sometimes during, depending on the puzzle) each puzzle gives players the feeling that their accomplishments are earned, while keeping the relaxed tone the game is going for. Every puzzle is also very well designed and polished. Oftentimes, I stand back in admiration of the intricacies of how each puzzle was crafted. Because of this attention for each puzzle, the challenge is fair and just, and you never have to restart due to poor design or a developer’s lack of notice. Linelight’s gameplay wouldn’t be nearly as enjoyable without its aesthetics though, and it is a beautiful game. It’s not “beautiful” in the typical sense, as the graphics are all two-dimensional lines, but the entire world of Linelight is just grand. As previously mentioned, each puzzle has intricate and creative designs, and once you finish a level, you zoom out from the entirety of the level and every puzzle you just completed, which create interesting shapes since every puzzle is connected to another, all set against a cosmic background. It gives you the sense that you’re playing something larger than life. This feeling is amplified by the many bright colors used in each gameplay element, such as orange and red for enemies, and blue, green, and purple for switches. The coloring is especially pronounced with the character you play: a bright white line, which somewhat resembles a star. The imagery impressed the sensation of exploring the entire universe. This sense of universal exploration and playing a larger-than-life game is also supported by the soundtrack. Each level has its own unique song, ranging from soft and mellow to excited and uplifting, and each one is so well composed that I never tired of a song or became annoyed when it repeated. It’s difficult to fully explain the feelings Linelight’s soundtrack evokes from a player, but for me, it was a mixture of peaceful relaxation and the inspirational desire to go out into the world and succeed in life. Whether one sees Linelight as more than just entertainment, is completely subjective. Objectively speaking, Linelight is fresh, inventive, and offers a deceivingly simple premise with incredibly engaging and satisfying gameplay. By not trying to compete with other titles regarding graphics or features, it stands out amongst the crowd and has its own unique identity. The simplicity of Linelight’s premise also allows My Dog Zorro to focus on the gameplay mechanics and aesthetic feel of the world they’re creating, and they utilize every opportunity to help craft each element, which blends together flawlessly. The only problem I encountered while playing (if you could even call it a problem) was that I activated my computer’s ‘Sticky Keys’ shortcut by pressing the shift key too many times (some puzzles require you to press the shift key in order to progress). So, if you play, just make sure to first turn off that shortcut. 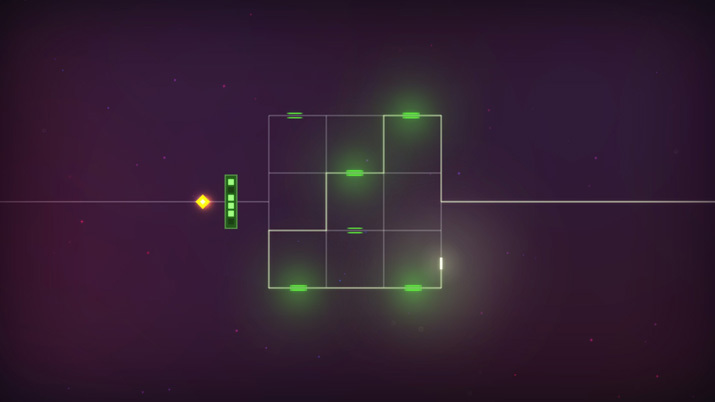 Linelight is a crowning achievement in the puzzle genre, proving that simplicity, when used correctly, can create an unforgettably unique gaming experience. Matthew is originally from Savannah, Georgia and currently studying Theatre and Performance Studies. Besides playing video games, Matthew also enjoys acting, writing, and reading Spiderman comics. His favorite games are RPGs, especially The Elder Scrolls and Fallout series, and aspires to perform in film or television.